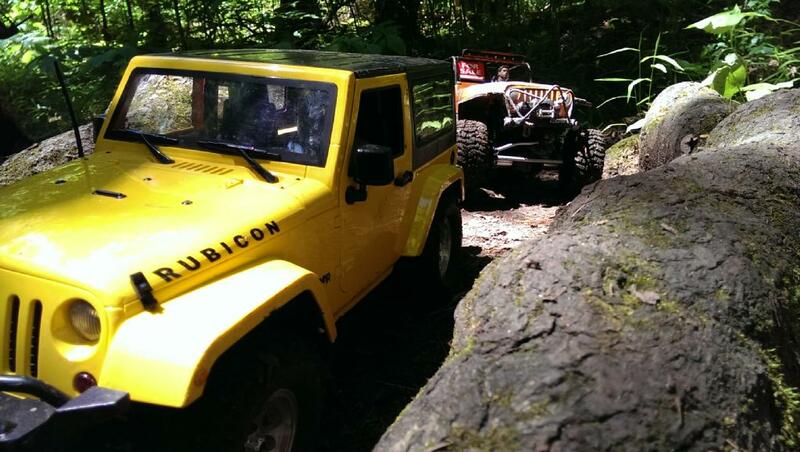 This is the ULTIMATE combo for your 2dr JK hardbody! Designed to complete your build from the ground up, we include the needed suspension links and brackets, as well as the full J2 chassis kit to assemble under your Jeep 2DR Hardbody for a perfect match. GCM has done all the research and design and made the assembly easy for you. 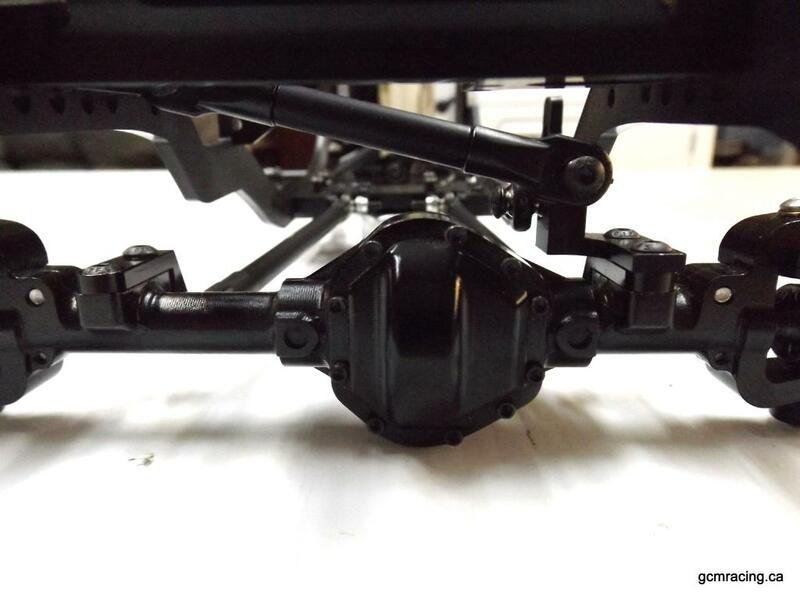 Add your SCX Transmission and RC4WD axles and you're almost done! 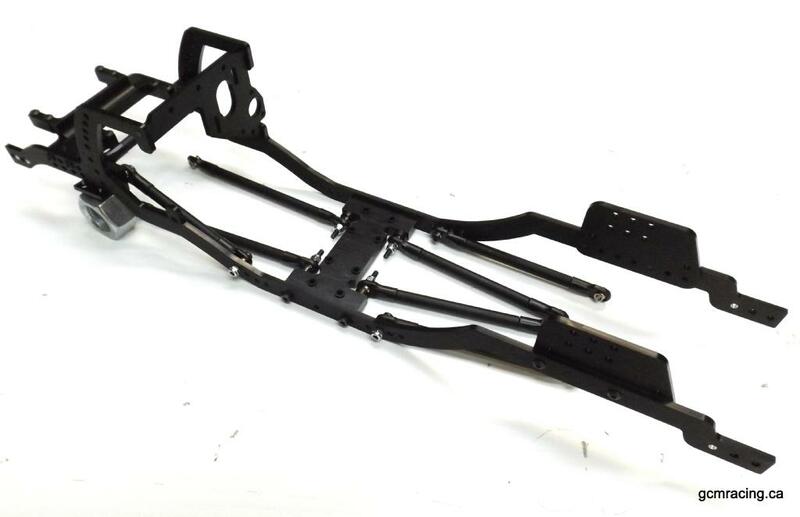 J2/RC4wd Panhard Bracket for frame side and RC4wd front axle with hex hardware. 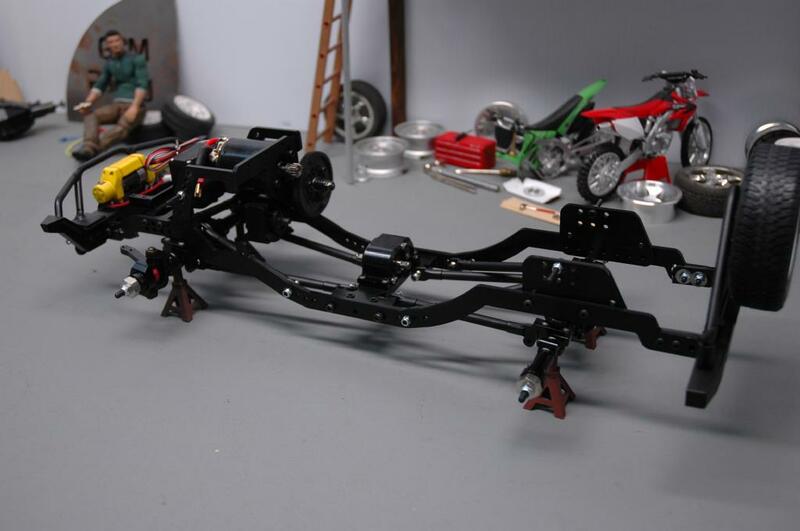 J2/RC4wd Complete Link kit for 10.625 wheelbase JK body including rod ends and hardware. Just as our CrossCanyon Chassis kit was designed to fit the NewBright Jeep 4dr Unlimited body, this new J2 Chassis was designed specifically for the E-Bay 2dr JK Rubicon Hardbody (with opening doors), because it required a special frame profile to match the full scale interior in the new 2dr JK body. 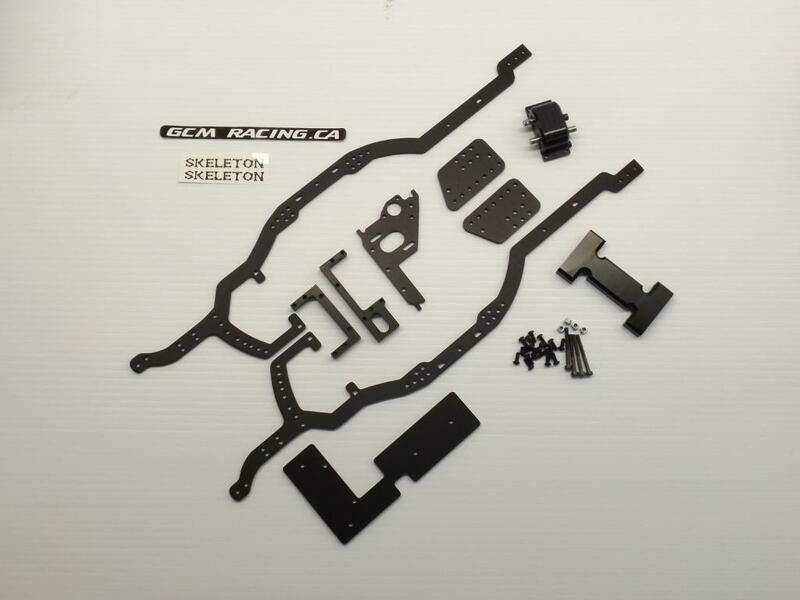 With a perfect fit available, there's no limit to the JK 2dr setups you can achieve using this Skeleton J2 chassis! Using the J2 Chassis with this great JK hardbody, you can also add on just about any of the popular aftermarket SCX Rail mounting bumper options with little effort. We trimmed down the long mounting brackets on these RC4WD Rampage bumpers (shown in our pictures) and they mounted inside the J2 rails just perfectly for a super scale look!